There are more than 7 million vegetarians living in the Unites States today. An additional 22 million follow a Vegetarian inclined diet. Have you wondered if your dog or cat can also be a vegetarian? What about a vegan diet, or even a raw food diet? 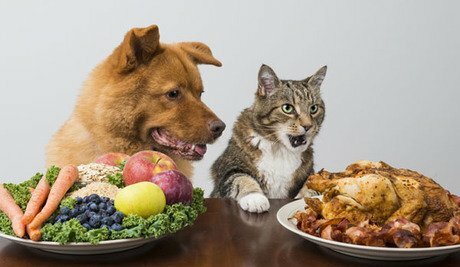 A lot of people are looking for alternative diets for their pets, and there is a lot of information online to help you make the right decision for you and your cat or dog. Bramble, a Blue Merle Collie, also a Vegan lived for 27 years or 189 Dog years! This incredible dog from the UK lived on a diet of rice, lentils and organic vegetables. She ate once a day and exercised regularly. Dogs are omnivores. A diet with both plant and animal is ideal, but if you are very motivated and willing to put in the effort, a vegetarian diet can be done. Cats are carnivores. It is trickier than it is with dogs. But if you really want your cat to go meatless, please do your homework and consult your vet. If you are lucky, maybe you can find a rare cat like Dante. He’s a rescue, also from the UK, that refuses to touch meat or fish. This cat, by choice, only eats organic fruits and vegetables, his favorites being melon, bananas, broccoli, rhubarb, asparagus, eggplant and Brussels sprouts. James A. Pedan has written the popular book Vegetarian Cats and Dogs. If you are considering changing your dog or cat’s diet to vegetarian or vegan, you should be as well informed as possible. Your pet’s health is not something that you want to gamble with. Also, be sure that you are aware of what foods are OK for dogs and what foods can be toxic to your pets and keep an eye out for foods your dog or cat could be allergic too. There is also a more recently written book called Simple Little Vegan Dog (2009) by Michelle Rivera. Make sure if you buy a commercial brand vegetarian food, it is important to consult a veterinary nutritionist so you can make proper adjustments and add supplements when needed. Wellness checks are also recommended every 6 months to ensure your pet is getting the required nutrition to be happy and healthy. BONUS RECIPE: Vegetarian Buttery, Banana, Dog treat Recipe! 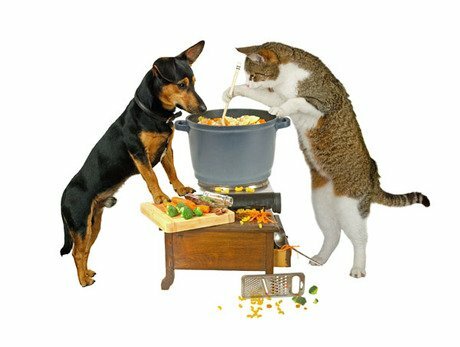 Do you have any helpful information on vegetarian or vegan diets for dogs and cats? Please share links and information in the comments below.